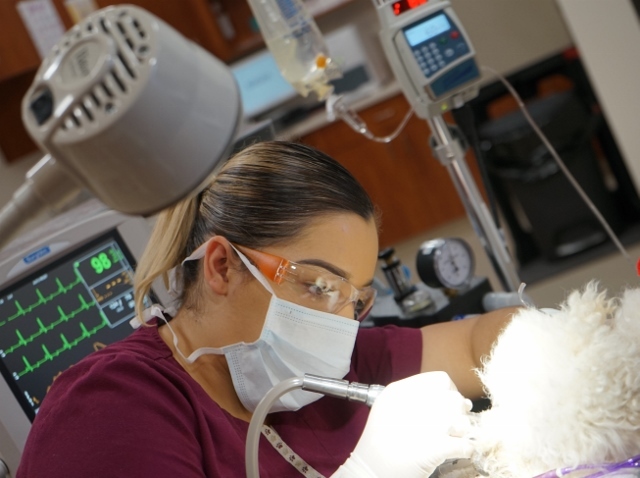 Regular professional dental care is important to maintaining your pet’s health. We use the most modern and safe ultrasonic scaler to clean each tooth thoroughly – above and below the gum line. Then we polish the teeth to create a smooth, lustrous tooth surface more resistant to plaque buildup in the future. Fluoride treatments help strengthen enamel and reduce tooth sensitivity and last but not least apply a sealant to each tooth which prevents future tartar to accumulate on the teeth again. 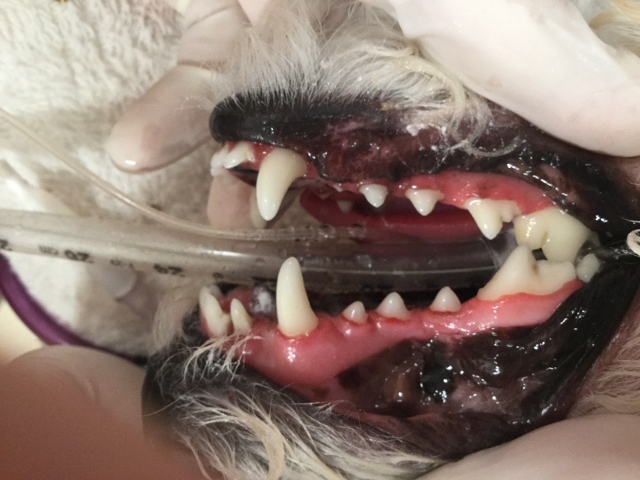 Proper dental care can prevent bad breath and periodontal infection from spreading throughout the bloodstream to damage your pet’s major organs. At times, dental disease is not apparent to naked eye and thats where dental x-rays help. Half of the tooth is under the gum line and you can only evaluate the roots of the teeth with radiographs. Dental X-rays can help us take pre-emptive measures that may save pet from discomfort and unplanned visits to hospital, at a later date. 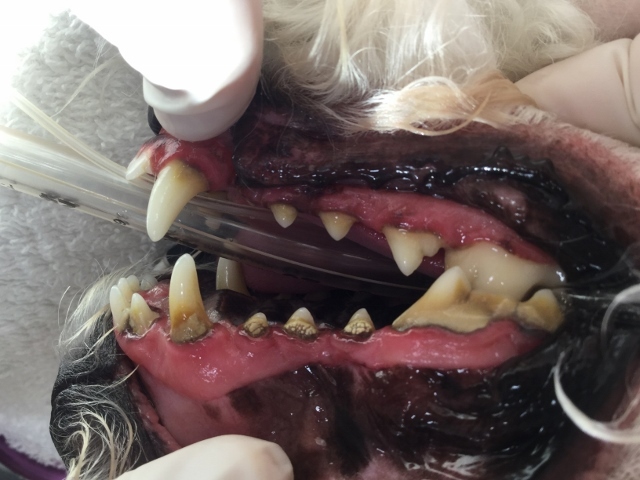 Ask us to evaluate your pets’ dental health.